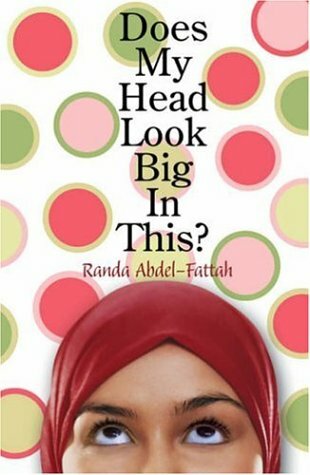 Yes, as the title implies, this is the Muslim writer's answer to Arabella Weir. And what a take on Muslim teenagerhood it is. Written in the lippy, wisecracking style of young people everywhere these days, it applies the author’s irreverent humour to everything from parents, to friends, to teachers, school, getting up to pray in the morning and other religious practices, as well as, of course, enemies and racists. Not forgetting those important creatures called boys. All of which feature in the lives of modern young Muslim women – and many of which feature in the lives of young women everywhere. Those of us literary snobs who affect to despise ‘chic lit’ will on the one hand scorn this book as falling squarely within the genre in terms of both the ‘girly issues’ it deals with – makeup, pimples and boy pulling being amongst these. On the other hand, whilst we fall about laughing, we have to acknowledge that precisely for this reason, the author has succeeded in doing something very serious indeed. Abdel-Fattah has succeeded in mainstreaming Muslim teenagerhood. She succeeds in showing that her heroine, Amal, has much in common with her non-Muslim peers, as they have with one another. To the extent that she is different, she is no more different than a practising Christian, or a devout Jew, or someone of any religious persuasion, is different – except insofar as the outward display of her ‘difference’ is more noticeable. Then too, if one scratches – not that far – beneath the surface, one finds that the author has succeeded in very deftly handling several pretty important issues. Foremost amongst these is racism – institutional, covert and overt. There is also the question of standing up for one’s beliefs, regardless of the cost, which in our teenage heroine’s life is pretty high, namely giving her worst enemies ammunition, risking the interest of a boy she has her eye on and causing consternation not only for teachers, but even for her devout parents. The thing which will puzzle many readers who devour this book – as indeed young women will – is how on earth does an episode of ‘Friends’ lead to a decision to adopt the hijab full-time? It took me a while to work out that it is about empowerment. For Amal, choosing the hijab is as empowering as choosing to pierce and display a bellybutton is for any other modern (non-Muslim) girl, or for that matter, choosing to sing the Copacabana whilst dressed as a pink meringue. The book thus challenges at least two assumptions. One of these is that a teenager whom we see walking down the street in hijab is a poor oppressed girl, forced by parents and community to cover up totally. Another is the assumption about what courage constitutes ie it takes a lot of courage for a teenager to dress very, very differently from her peers. Silly girls are not beneath being courageous, in their own way. This is the connection between Jennifer Aniston’s singing Copacabana whilst dressed as a pink meringue, and Amal going to school dressed in hijab.